Based on SDN principles, PEN allows customers to provision bandwidth in minutes through a self-service portal.The previous versions of PEN offered Layer 2 Ethernet services on-demand from 1 Mb/s to 10 Gb/s. PEN 3.0 allows Pacnet to offer a Layer 1 bandwidth on-demand service in increments of N x 10 Gb/s, and it is designed to allow services in increments of N x 100 Gb/s in the future, the carrier says. Using the self-service portal can cut service provisioning times down to minutes instead of weeks or even months. Customers can specify how long they want to book services in increments as small as one hour and select the route according to characteristics like latency and price. The benefits are also significant for Pacnet. The automation of the provisioning process helps them to offer a more competitive service, with the aim of increasing customer retention and generating new revenues, all while lowering operational costs. The deployment is the first outing for Infinera’s OTS. An existing customer with Infinera, Pacnet’s extensive submarine fibre-optic network – linking 15 data centres in 10 countries across the Asia Pacific region - is based on the vendor’s DTN-X packet-optical transport platform. The OTS software is the piece that runs inside every DTN-X optical switch and allows it to be managed by a third-party SDN controller. OTS communicates with the SDN control plane through open Web 2.0 APIs that abstract the network to make it easily programmable. The software is commercially available now, with release 2 due out in May. 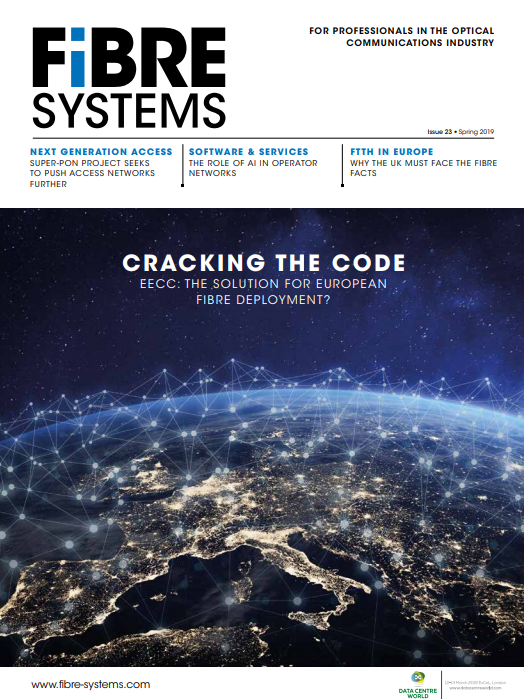 Although the announcement focuses on a service and software, the capabilities of the underlying network are crucial, says Geoff Bennett, director of solutions and technology at Infinera. The highly meshed topology of Pacnet’s network is significant because it allows traffic to take alternative routes across the network. The scalability of the DTN-X platform, with 500G of capacity on an individual line card, is also important because capacity can only be allocated by an SDN controller where it is physically available in the network. “All of this is driven by the need to virtualise as many functions in the network as you possibly can, but one thing you can’t really virtualise is the production of photons,” said Bennett. Infinera’s network architecture has been able to give network operators a degree of flexibility on the physical equipment that cranks out photons, he says.